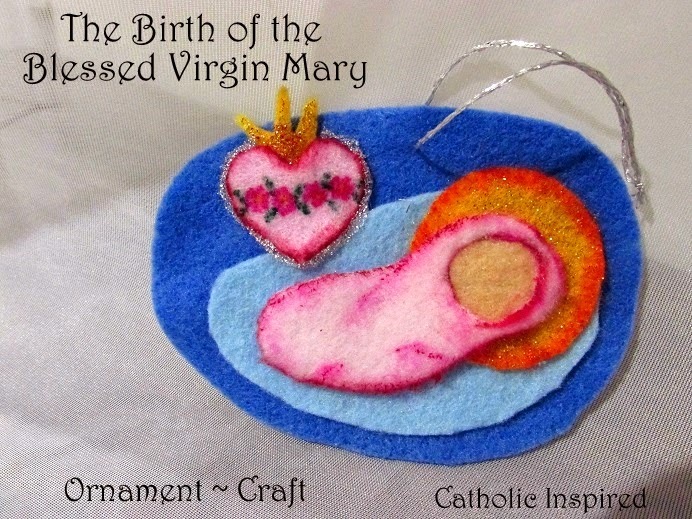 For the birth of Our Lady (Sept. 8th), Elizabeth and I wanted to make a liturgical ornament that was filled with baby cuteness! 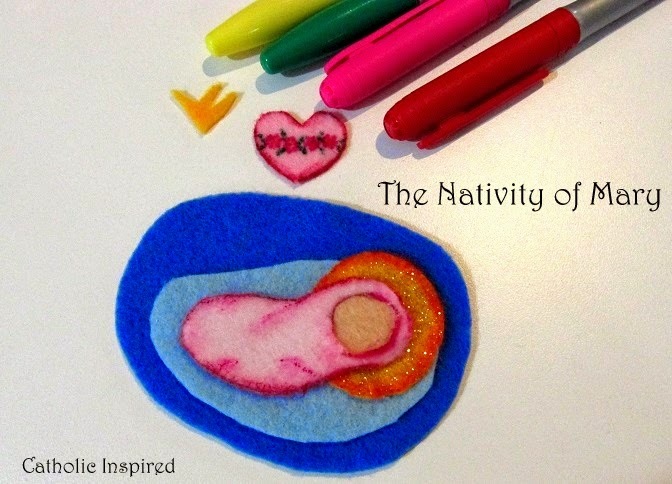 So we made a pink baby and to confirm that this isn't just any baby girl, we added an Immaculate Heart. This Immaculate Heart is a little different than the regular Immaculate Heart. 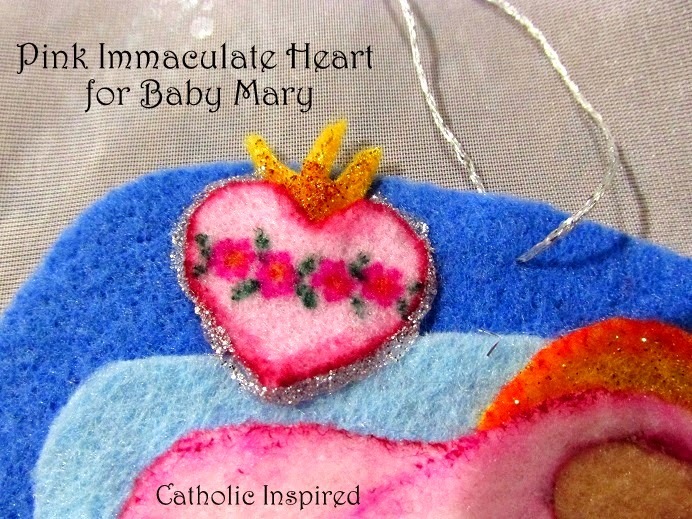 We wanted this Immaculate Heart to look baby-like, so we made it pink! We also didn't add the sword, since Mary wouldn't have had any heart breaking experiences yet. Permanent markers: orange, pink, green, and red markers. 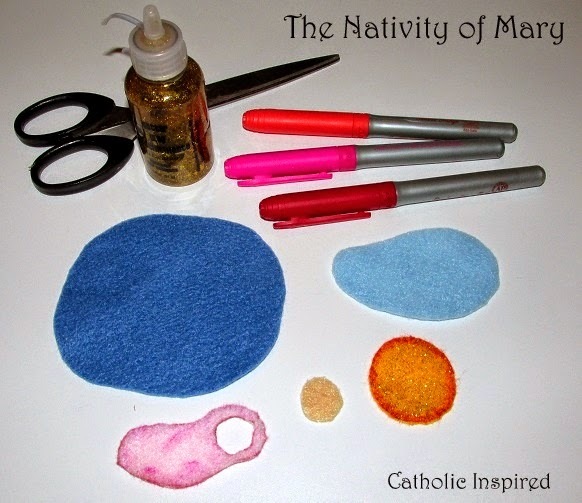 After Baby Mary and all the other parts are glued down, cut out a pink heart and flame. Use the pink permanent sharpie marker to make flowers. Just make 5 or 6 dots in a circle shape and add a yellow dot in the middle area. Then add a few green marker leaves around them. We used a red marker around the edge of the heart. Cut out a yellow flame for the top of the heart. We added gold and red glitter glue to the flame and silver glitter glue around the heart. Personally, I love this ornament! I think it's so cute! I hope you like it, too! 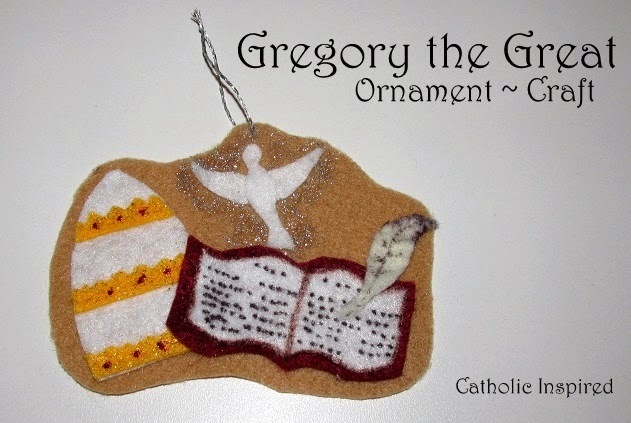 You also might like the St. Gregory the Great Ornament. His feast day is Sept. 3. 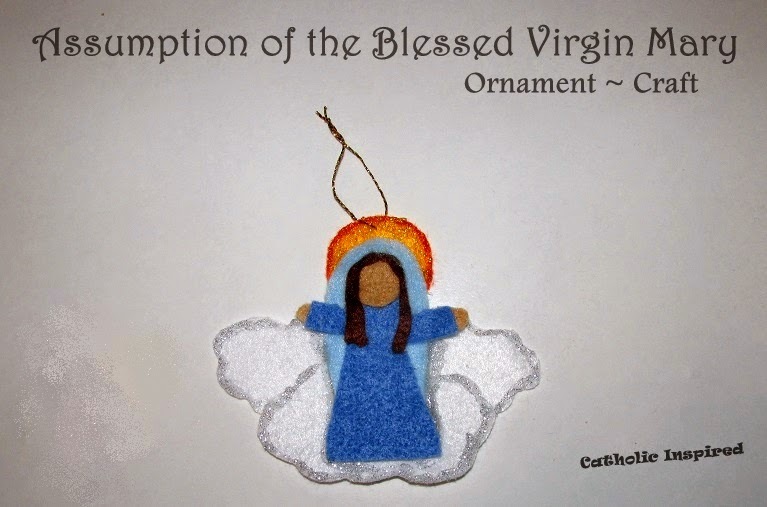 Click Here to see ALL the other Liturgical Ornaments!